We’re wrapped up with Shakespeare at last! I suppose it’s possible to get burned out on Shakespeare in a year, and maybe it’s just been an awful two months, but I just couldn’t get into these last two plays at all. But I’ll give you some basics to work on in case you’ve heard of them, but forgot what they were about, or wanted to browse for something different. All is Well is actually a play about Henry VIII. Well, I’m not totally sure why the play was originally called All is Well, because it doesn’t seem to say very much. If medium-level fans know of this history play at all, it’s because this is the play where they fired the cannon during performance and it burned the Globe Theater down. If that’s a question on Final Jeopardy, you’re welcome. Dibs on half your winnings. Anyhoo, it’s another history play, but one that’s chock-full of collaboration. Shakespeare’s contribution is scattered throughout, and maybe that’s why this play isn’t so well known. It begins with Henry VIII who is wondering about his kingdom and the well respected queen, Catherine, who has unfortunately not given him an heir. Yes, Anne Boleyn eventually comes in and there’s that little thing between them. The play wraps up with Boelyn giving birth, but it’s not the son they’d been hoping for. For a history play, it is bits and pieces and didn’t feel as evenly flowing as other history plays I’ve read. It’s chock full of characters, probably the largest cast list I’ve seen in the book, but too much is going on and not much of it was terribly interesting. Sure, there was plenty of Katherine and Anne Boleyn, Henry and his cardinals, and the question of ultimate authority that we’re familiar with. I’ve never seen The Tudors, but it wouldn’t surprise me if that was a lot more accurate and fun. All is Well just didn’t hold my attention much, probably because the differences in tone and familiarity with the basic history we’ve all read or seen in books and film. While I think teamwork and collaboration can be great things, I can also see why some would barely call this a Shakespeare play. So much of it’s written by others, and you can kind of tell from wording and stylistic changes. I think that distracted me more than anything. It would probably be better seeing it onstage…just watch out for the cannon fire. As far as The Two Noble Kinsmen, that’s another collaborative effort of a tragic romance. I’ve gotten tired of reading these things, so it’s not much fun trying to go on about this one. Essentially the two nobles are imprisoned and they see the jailer’s daughter and fall in love with her, which makes them rivals. Eventually the rivalry gets so big, and circumstances so harsh, that they end up praying to their gods and fighting for their lives, for overall victory, and for the lady’s hand in marriage. I think the migraine’s preventing me from saying much more at this point. After so many of these stories and plays that have deus ex machina come in to create the happy ending (or at least an ironic one)…yeah, I was tired. But these later plays don’t seem to have the spark and enjoyment that Shakespeare’s earlier ones do. I think reading up on theater companies and the politics of the time would be helpful, because I can’t help but notice that over time, Shakespeare seemed to be getting a heckuva lot of help on plays that are attributed to him. They just don’t feel as clean, though, and I found it too distracting to get through them in one sitting. Earlier ones I absorbed pretty well. It might’ve taken a while, but I was enthusiastic about trying to tackle them, even the ones I didn’t like because the language moved me. I just don’t feel the same about these last few. Anyhoo, at least you have some idea of what they’re about if you come across them. I was totally unaware of them and hadn’t heard of them before I got this book. 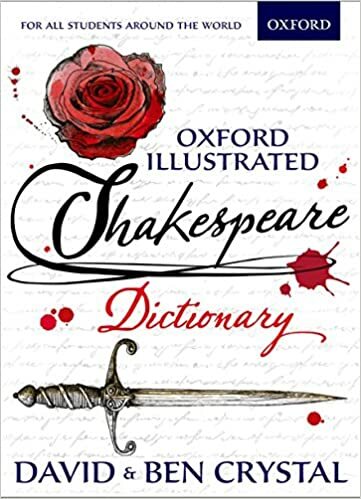 Hope you find some favorite Shakespeare plays to enjoy and read. I think he’s a great author after all, though I hated studying his work in high school. 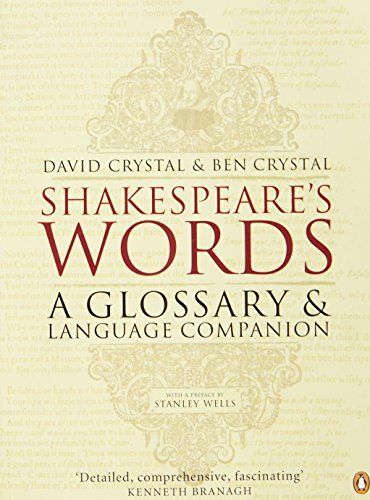 These were great resources I’ll be consulting again and again to help me out with re-reading Shakespeare. I was glad to have them, as they made understanding the plays easier. My copies are worked over with my highlighter pens, as is my original The Oxford Shakespeare copy. Adieu, fair Shakespeare in print…at least for now. Off to organize a week of The Hollow Crown viewing, as I promised myself when I finished this book. At last, to see my fave British actors on screen as presented by the BBC. #085–What Makes Fargo Such a Good Movie?